Build a world-class website in less than a week with Django CMS. Beginning Django CMSshows you how to simply and easily write a dynamic website with a full content management system in the backend. It is written for Internet developers who are sick and tired of dealing with complicated, bloated website frameworks that are a pain to build and a nightmare to maintain. Django CMS is an Open Source website building framework that is experiencing exponential growth because it is built on the simple, secure and scalable architecture of Django. This book takes you from knowing nothing about Django CMS, to building a functional website and content management system that you can deploy for your own website or for your customers. 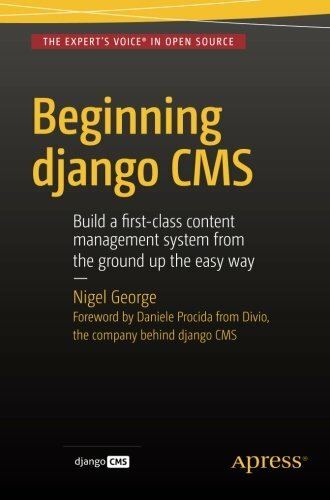 Beginning Django CMS is for programmers, in particular Python and Django programmers, wishing to build a simple, custom content management system (CMS). They do not have to be directly interested in the Django CMS application, Beginning Django CMS will be equally useful to a programmer looking to build a functioning CMS rapidly.